With due respect, my piece will focus on Hon. Faisal Roble’s article at Wardheernews in which he refuted the notion that Jijjiga city belongs to a certain clan as he was responding mostly to social media pitch. 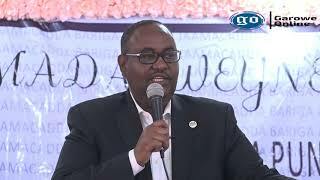 Although he did not mention by name the clan that was claiming the ownership of the city, it was obvious to the Somali Regional State citizens and beyond that, he was referring to the Jidwaaq clan; if I am wrong, I am ready to be corrected by Hon. Faisal Roble by stating exactly the Somali clan he was referring to. Hon. 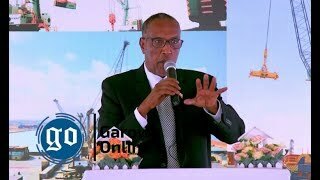 Faisal Roble pointed out that Jigjiga is the capital city of the Somali State, and all clan stakeholders should share administration of the city. However, I am confused about what level of administration is on the table to be shared, since the Dib U Curasho system (Central Administration) of former president of Abdi Iley regime has been thrown out of the window, and the older system in line with the Ethiopian federal constitution has been put back in place, a system which stipulates the administration system should be from bottom up rather than from up to bottom. I agree with Hon. Faisal Roble that Jigjiga is the capital city of the Somali State and every resident, no matter what clan they hail from, should be treated with respect. Everyone can come to the city, own a house, start a business, and live freely in it. As I was reading the article, I was confused about whether Hon. Faisal Roble was talking about the city of Jigjiga or the region of Jigjiga, known as Faafan; the Somali state consists of nine regions. 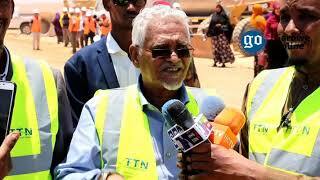 The Faafan region, however, consists of six districts; Awbare, Tuliguuleed, Jigjiga, Kebribayah, Gursum, and Harshin. The commotion surrounding the Jigjiga ownership is not about the State level, but it is about the municipality and mayoral level. According to the old system that I already mentioned, which is in place now, the majority clan in every city should take municipality and mayoral leadership, and that is what happens; unfortunately, the Ethiopian constitution is based on ethnicity, clan, and race; it is not an idea borrowed from the 4.5 formula of the federal republic of Somalia; it predated it. 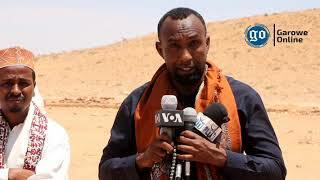 Every majority clan in each district in Faafan region has taken the mayoral position, why deny the Jidwaaq clan (either Bartire or Yabare sub-clans) take the mayoral position of Jigjiga? I do not want to waste much time on the debate concerning the history of jigjiga, without resorting to further research, the Somali historical accounts are enough; the Wiiilwaal Somali legend in the Somali history archives is enough as well. By Ahmed Said is a student at Northland Community and Technical College in East Grand Forks, Minnesota. He can be reached at abdinassirsomalia@gmail.com or phone number, 320-469-0405. 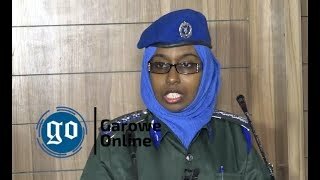 Disclaimer: The views and opinions expressed in this article are those of the author and do not necessarily reflect the Editorial Policy of Garowe Online.